Only 353 private schools are left after the last round of flushing. The number of schools left standing in another round of qualification checks and tightening will see the number shrinks to about 100. For the moment, 200 of the schools are only operating under a one year provisional license issued by the Council of Private Education and they have to satisfy more stringent criteria if their licenses are to be extended. The stage is set for the number of private schools to go down. And this is not a bad thing really as those that survived the cut will be stronger and more credible operators, with better management and finances. Foreign students could feel safer to register in private schools here by next year and have lesser fear of being thrown out of their classes midway for all the bad reasons. The restructuring and strict regulations will be for the better of everyone. This is what Singapore stood for. The deregulation craze to allow shady characters to do as they pleased was an uncalled for exuberance that Singapore had to pay a high price for it. Hope this crazy deregulation thing will be tighten across other industries as well. When people are left on their own to make money at all costs, the real thugs beneath the thin façade of civility will surface quickly to the demise of the industry, but not after leaving behind a carnage of victims. Tyndale Institute, run by a Guo Qiao Li, is closing and Guo Qiao Li will be facing charges of breaking private education regulations. She had operated two other schools that were also in trouble. The school was conducting first degree course linked to University of Sunderland in England. In 2008, her other school, Shines College also ran foul of the regulations and she and her managers were charged in court. About 200 students were affected and efforts are being made to transfer them to other private schools. Half of the students are foreigners and have paid fees of $10,000 to $20,000 each. The tightening of regulations and enforcement had helped in a big way to protect the tuition fees of these students and to minimize disruption in their studies. It could have been worst for the students if the system is not in place for such failures. At its peak there were more than 1,000 private schools operating here. The stringent regulations introduced to curb unreliable operators have shrunk the number of private schools to 350 today. The state of private schools in the island has stabilized somewhat but it will take more time to weed out all the weak operators and provide students with a more reliable education environment here. 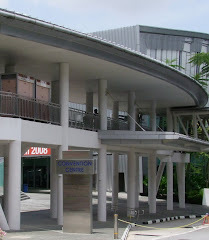 It had good reputation, accredited with the Singapore Quality Class, which means good business practices. It was profitable. The boss also helped other foreign students in their paying their fees, gave places in the school to students when their schools folded. Cambridge Institute, better known for English Language classes, is folding up when it ran up hundreds of thousands in debt and unable to pay its teachers. The affected students are being transferred to Bristol Business School and Coleman College, both have EduTrust certificates and are authorized to take in foreign students. 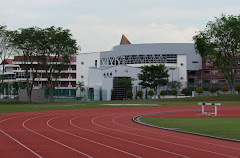 While it is good that private students’ welfare and well being are now better handled, the repeated failures of private school is something to worry about if the Singapore brand as an Educational Hub is worth protecting. It cannot go on like this. As it is, the number of foreign students coming here is already declining. It will affect the business for sure. 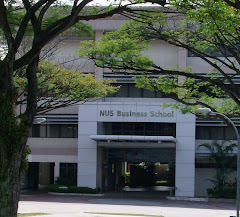 NUS is ranked the 28th top university by the London based Quacquarelli report. 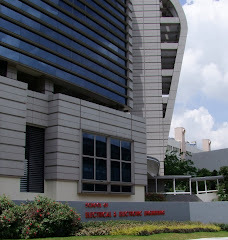 NTU is ranked 58th best. 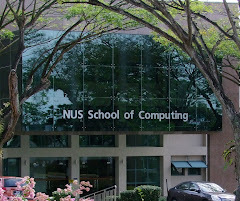 Soon Singaporeans do not need to travel to the US or UK to received world best university education when world best education is available at their door step. At the rate Singapore universities are moving up the ranking ladder, soon they will be in the company of Cambridge, Oxford, MTI and Harvard and other American and British Ivy League colleges. After an 18 month time frame for all private schools to meet the stringent criteria laid out by the Council for Private Education and to register with the Council, only 328 met the deadline on 20 June 2011. This is a shrinkage from about 1000 private schools. Some merged with bigger schools and some simply folded up. The 328 left are schools that are much well organised and reliable to take on the role of providing good private educations to students who are paying good money and a high expectation that the money and time will be well spent. Going forward, the private schools are expected to stabilise and with lesser upheavals or risk of closing down though such an eventuality cannot be totally ruled out. Private school students could now study in peace knowing that the govt is there to ensure that the schools are up to it to deliver what they set out to. Students who have problems can always approach the CPE and various other govt agencies for assistance. After years of lawlessness, the CPE has been given powers to impose fines and penalties to private schools for flouting its rules or failing to maintain minimum standards for courses. 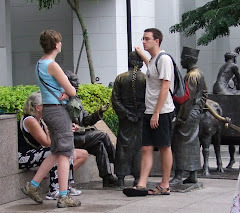 At stake is the reputation of Singapore as an international education hub and the country's reputation as a safe and reliable place for all enterprises. With this start, more trespassers of its regulations can be expected to meet the same fate and possible closure. Cambridge apparently has closed its doors. Local and international students can now feel more at ease that those allowed to continue operating are less likely to leave them in a lurch. The CPE is something waiting to happen while the govt experimented with the idea that the players can self regulate and set a high standard for themselves. It has now been proven that a business enterprise where profit is the main motivating factor cannot be left alone on its own device. Profit crazy organisations will throw caution to the wind and strive for the bottom line at all costs, often forgetting the missions of their organisations. This is the ugly side of human greed. The CPE is something late than never. CPE, the Council for Private Education was set up by the govt to regulate private schools in Singapore after a spate of unpleasant events which led to private students being left in the lurch when some of the badly run schools run foul of the law or were closed prematurely. ALG Education Centre located in the private schools district of North Bridge Road and Middle Road area was closed for failing to disclosed relevant information affecting the school. The school withheld information that its partnership with an external degree programme provider, New York's Daeman College, was terminated. ALG also did not submit student records and contracts to CPE as required for registration as a private school. There were also two civil proceedings against ALG that was not reported. Private schools are required to be registered with CPE and to satisfy certain requirements for accreditation under the Enhanced Registration Framework which required them to have independent examination boards, transparency of finances and qualified teachers. Schools that want to recruit foreign students are required to obtain the EduTrust Certificate which has more stringent criteria to meet. As of end of April 2011, 274 private schools have been registerd with ERF and 63 awarded the EduTrust Certificates. Foreign students seeking further education in private schools here should enquire for such qualifications from the private schools for their own good. The Private Education Act enacted in December 2009 required all private schools to be registered with the CPE. This should provide the first level of safeguards for foreign students studying in Singapore. Sinda is concerned that one in four Indian students scored less than a C grade in PSLE examination. They are reviewing the teaching methods to correct this anomaly. I think they should not be unduly alarmed by the slightly underperformance at primary level. From the performance of adult Indians, the reverse is true, that Indians are great in mathematics and numbers. They are producing a lot of world class programmers and IT professionals in a field where mathematics and logical thinking are a must. Then all the top finance professionals in the island are Indians, from the Finance Minister, CEO of MAS, CEO of DBS, Citigroup and many other finance institutions are Indians. Their ability for mathematics cannot be bad. What this proof is that the Indians may be slower in developing their mathematical prowess. But they will catch up in no time to be the best of the best. There is not much cause to worry about. They will all end up well and surpass the national average. Unless of course the gene pool has been changed or degraded. This is unlikely to be so as Tharman has noted, ‘the Indian community had made “significant progress” in the past 20 years,….’ They can only get better. Members of the New Zealand High Commission, Massey University and the Ministry of Education, Singapore. 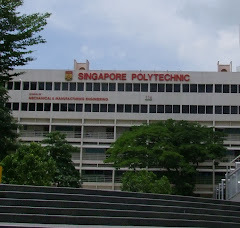 4 April 2011, Singapore – Singapore’s Principals Academy Inc (PAI) today signed a Memorandum of Agreement with New Zealand’s Massey University to offer the Massey University Bachelor of Education (Early Childhood Focus) programme here in Singapore. Massey University's Bachelor of Education (Early Childhood Focus) degree is one of New Zealand's longest-standing and most respected professional qualifications for teachers and educators. The programme aims to develop knowledge, skills, and practices within early childhood education settings that will prepare its graduates for roles in leadership and management in the teaching profession. The MOE is investigating the sudden closing down of a private school offering degree courses from the University of Wales. The Turning Point Business School offered degree courses including MBAs in strategic supply chain management, Islamic banking and finance and risk management. The fees could be as high as $20,000. The University of Wales has since terminated its partnership with the school. Its owner, a Manish Brahmbhatt is uncontactable and is believed to have left Singapore. Students who have enrolled in the school were experiencing earlier signs of trouble when classes were often postponed. They are now trying to recover the fees paid to the school. Potential students to private schools better beware that any signs of irregularities should be seen as a warning to them. 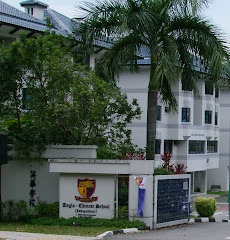 The MOE has since set up a Council for Private Education(CPE) to oversee private schools in Singapore. All private schools have to register with the CPE by this June. Only about a quarter have done which is a sign that many would not make it for reasons of compliance to the higher requirements of the CPE.